Did you watch the final round of the Masters golf tournament yesterday? If you were like me you were shell-shocked and heart-broken to see Jordan Spieth’s record-setting performance and 5-point lead disappear within a matter of minutes—bogey, bogey, quadruple bogey. A devastating blow for Jordan. However, I continued to watch Jordan grapple with his demons on the remaining holes, even tallying one more birdie. He didn’t win but did finish tied for second behind Danny Willett who shot a phenomenal 67, tied for the low round of the day—shooting the right score at the right time. I gained more respect for Jordan Spieth yesterday than during any of his amazing feats thus far. There were no temper tantrums. No cussing. No blaming. No clubs thrown. He handled his defeat with poise and grace. 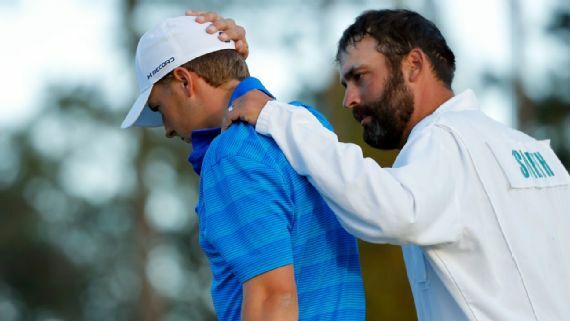 Even though I’m sure he was dying inside, he stayed in the game; he allowed himself to be interviewed on the world stage, candidly talking about what happened; and he fulfilled his past champion’s duties by draping his worthy opponent in his first green jacket. Will Jordan recover from such a devastating personal setback? A resounding, yes! From what I have witnessed of Jordan’s 22-year-old maturity and character, this will strengthen him as a human being and a leader in his industry. So as leaders, what can we all learn from Jordan Spieth? Setbacks happen. Deal with it. When you fall, pick yourself up, brush yourself off, be humbled, but carry on. Blame no one but yourself for your defeats. When you face disappointment respond with good character as though the world’s watching. Continue performing your duties even though you would rather run and hide. Your team is counting on you. Praise the person who beats you. Treat everyone with respect, no matter what happens.